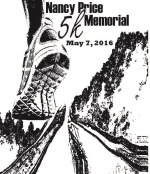 Please join us on Saturday May 11, 2019 for the 25th Annual Nancy Price Memorial 5K Run. Price was the recreation director who actually put the recreation program on the map. She had Veteran's Park in Youngstown built up to what it is today from just a field. She did this by grit and determination. She was a fixture at the park and became friend/parent to all the children who came by the park. Price passed away from cancer far too soon. Today, this race seeks to carry on her hopes and dreams for the youth of the community. Proceeds from the event go toward the Annual Nancy Price Memorial Scholarships, which are given out to graduates from the area who possess the values she held and who are active in the community. The race will start at the Youngstown Volunteer Fire Hall in the Village of Youngstown and features an out and back course through beautiful Fort Niagara State Park. The 5K Walk starts at 9:45am and the 5K Run will start at 10:00 sharp! Event organizers are also planning a 1/2 Mile Kids Fun Run through Veteran's Park that will take place at 9:30am. Race day registration and packet pickup will take place inside the fire hall from 8:30am right up until the start of the race at 10:00am. 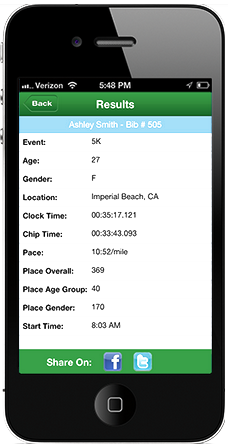 You can also contact the race director for a paper application if preferred. *The first 100 participants will receive a race t-shirt! *Kids Fun Run - Sign up and pay on race day only! The first 50 participants will receive a drawstring backpack! Join us after the race inside the Youngstown Fire Hall, where everyone is invited, for the post race celebration and awards ceremony. There will be music, Brickyard Brunswick Stew, pizza, pop, and beer provided. There will be plenty of free parking in the lot across the street from the fire hall and on surrounding streets. 14 & under, 15-19, 20-24, 25-29, 30-34, 35-39, 40-44, 45-49, 50-54, 55-59, 60-64, 65-69, 70-74, 75 and older. For additional information on the race or sponsorship opportunities, please contact Race Director Brian Harrison at716-957-0837.